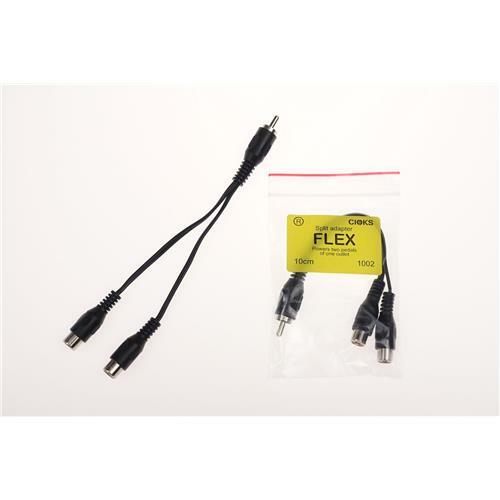 This split adapter Flex makes it possible to power two pedals using only one outlet of the power supply but where the cable length and plug type can be chosen individually for each pedal. 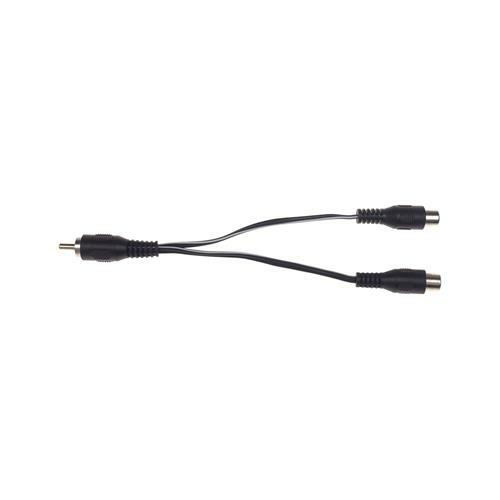 You’ll need to attach two standard Flex cables to this adapter. Say you need to power two low current draw drives in the corner of your pedalboard opposite to the power supply. Here you can use the Split adapter Flex with two 80cm type 1 Flex cables. Or you mayby want to power an older RAT pedal which needs the mini jack plug along with say a BOSS drive or compressor. Here you’ll need a type 5 and type 1 Flex of the lengths which suits you best attached to the Split adapter Flex. If you’re looking for a simpler and cheaper way to power two pedals of one outlet please have a look at the Split Flex.